Carefully selected amplifier modules and audiophile-grade components that make your treasured record collection shine. Pro-Ject's Phono Box S2 phono preamp builds on the success of the popular Phono Box S. It has the same carefully selected amplifier modules and audiophile-grade components that make your treasured record collection shine, in a more rugged chassis made of sandwiched aluminum and metal. 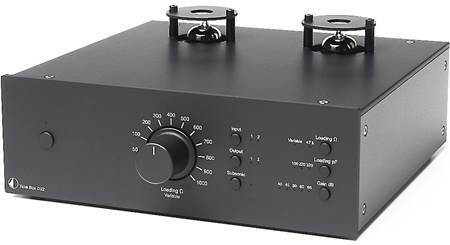 No matter what kind of phono cartridge you mount on your turntable, this versatile preamp gives you a wide range of input settings to optimize its performance. A switchable subsonic filter protects your amplifier and speakers from low-frequency rumble below 20Hz. The Phono Box S2 phono preamp is compatible with both moving magnet and moving coil cartridges, so you can count on proper matching with virtually any turntable and cartridge combination. Dip switches on the bottom of the chassis let you adjust the preamp's settings very specifically to get the most out of it. For instance, our customers love the Pro-Ject Debut Carbon turntable, which comes with an Ortofon 2M Red moving magnet cartridge pre-mounted. Pro-Ject recommends that you set input impedance at 47k, input capacitance at 200pF, and input gain at 40dB. The manual that comes with the S2 includes clear diagrams that show how to set the dip switches for this and other popular cartridges, so you can upgrade without too much hassle. 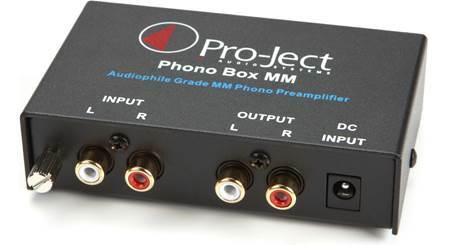 Phono (MM/MC) Preamp: The Pro-Ject Phono Box S2 allows you to connect a turntable with either a MM (moving magnet) or MC (moving coil) cartridge to today's home receiver's and amplifier which do not offer a dedicated phono input. There is a button on the back of the unit which allows you to switch between MM or MC mode. 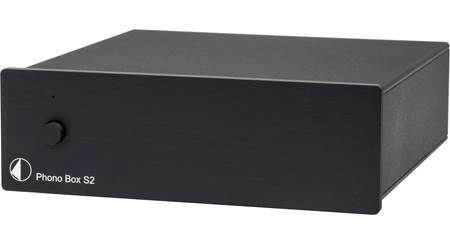 Aluminum/Metal Sandwich Construction: The Phono Box S2's housing is made of an aluminum/metal sandwich construction and not only offers great aesthetics, but also protects it from unwanted electromagnetic interferences and vibrations. Audiophile-Grade Amplification Module: Audiophile-greade amplifier modules and carefully selected polypropylene capacitors make it possible to enjoy your valuable vinyl collection like never before. 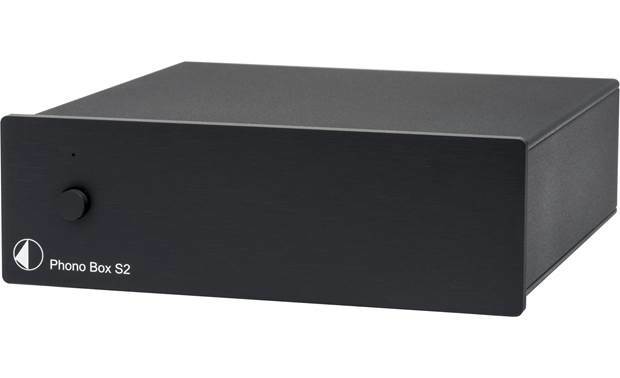 Dual-Mono Circuitry: The Phono Box S2 provides optimal channel separation through dual-mono circuitry and low-noise ICs. Precise RIAA Equalization: The Pro-Ject Phono Box S2 provides amplification and precise RIAA equalization for both MM and MC cartridges. Controls: The Phono Box S2 features various controls to make sure your turntable sounds it best. Connections: The Phono Box S2 features a stereo RCA input and output, as well as a ground terminal. 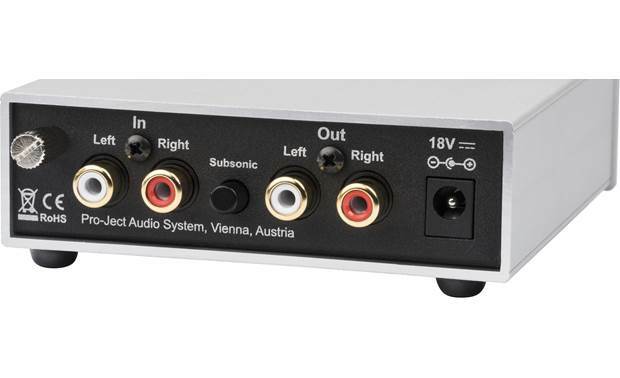 Outboard Power Supply: The Pro-Ject Phono Box S2 operates off of standard household AC current, using the supplied AC power adapter. The external power adapter is separate from the phono preamp to further improve sound quality. Searches related to the Pro-Ject Phono Box S2 Phono preamplifier for moving magnet and moving coil cartridges (Black).